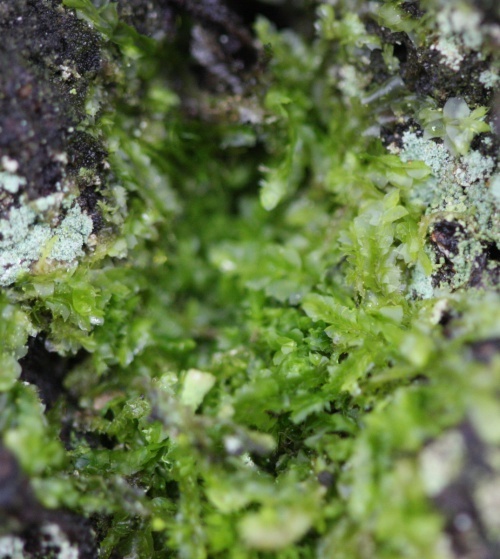 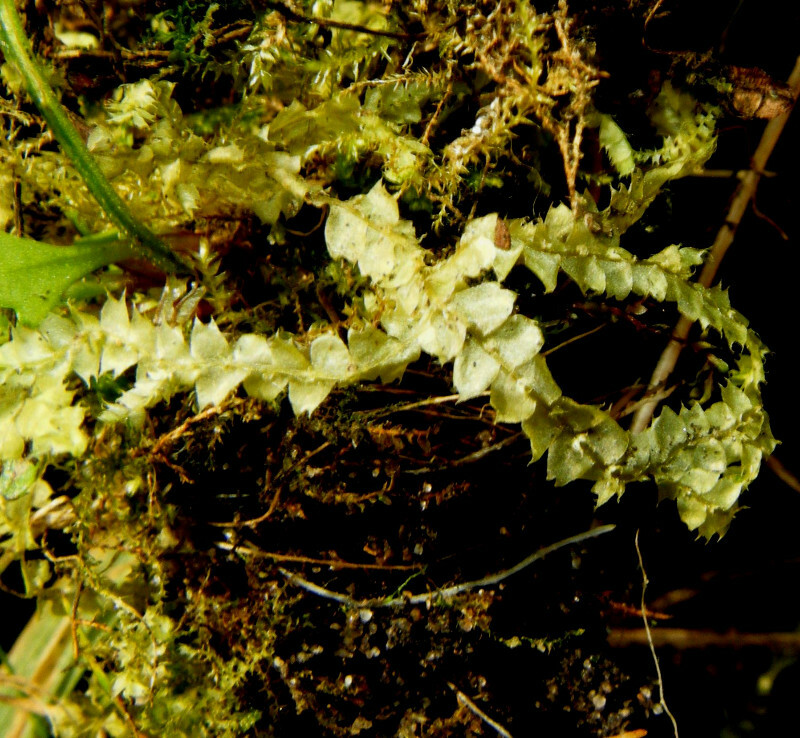 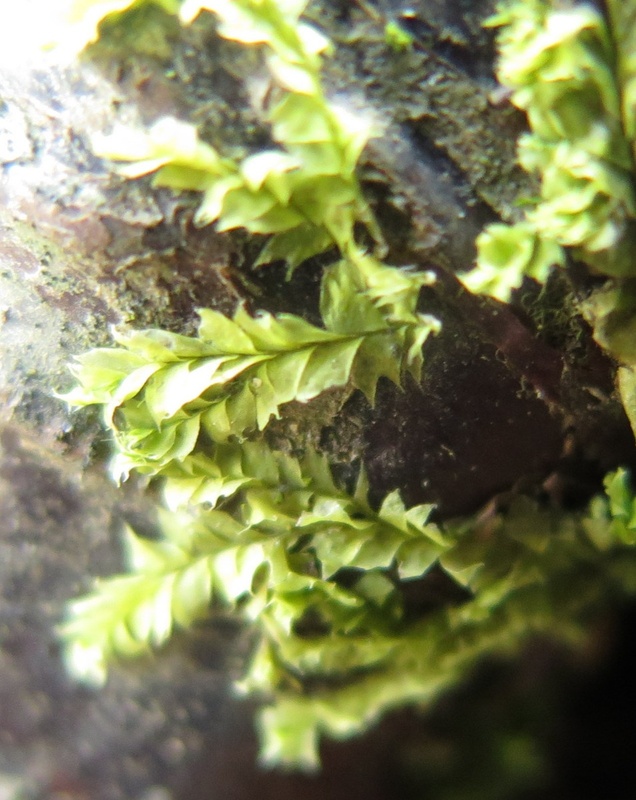 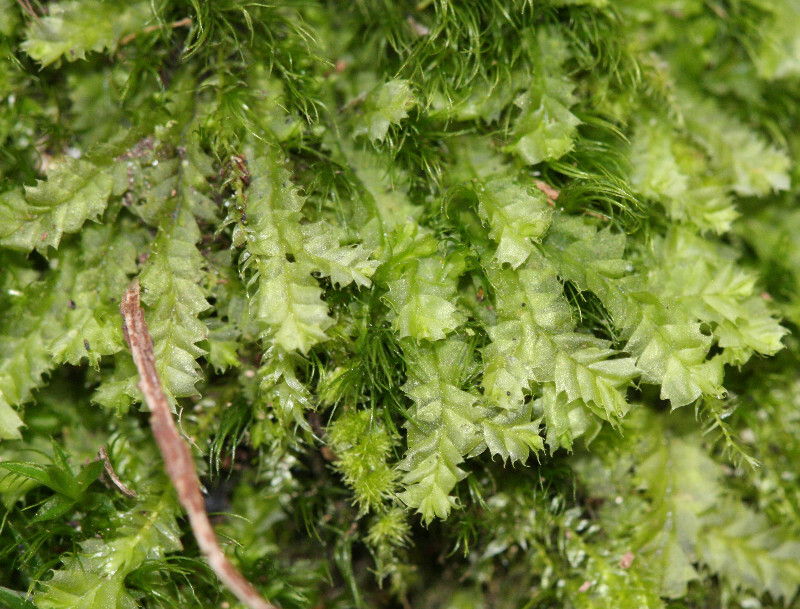 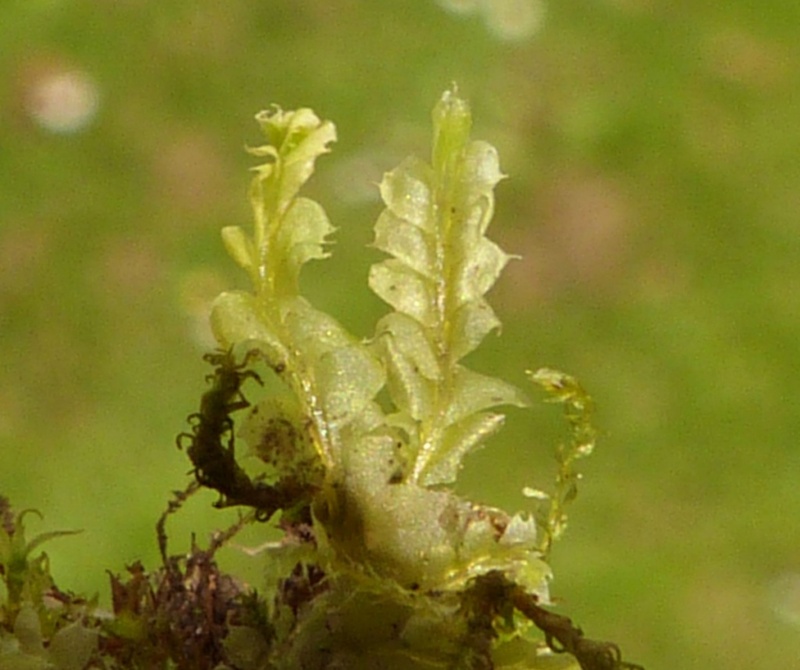 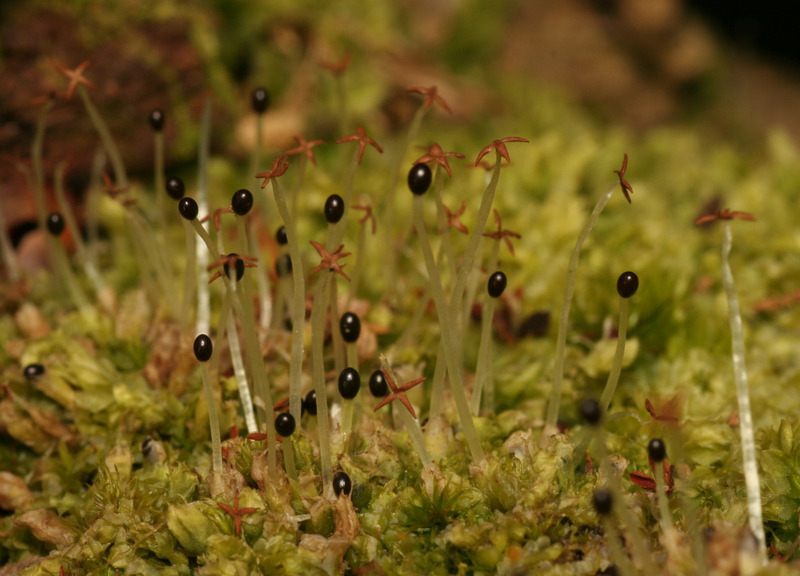 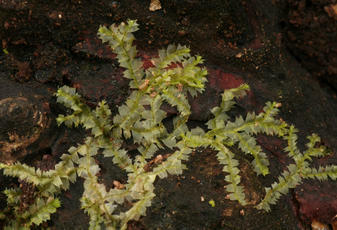 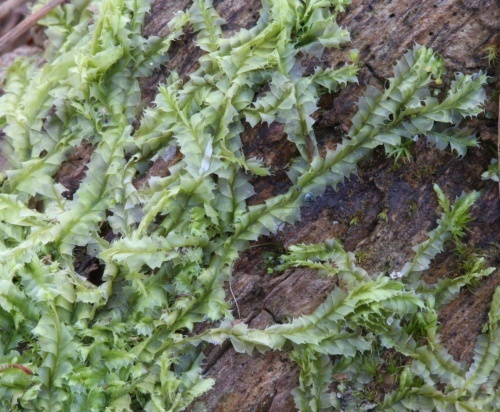 This liverwort is a translucent, pale green in colour with shoots 2 to 4 mm wide sometimes stretching to sevral cm in length. The conspicuously bilobed leaves are 2 mm in length with the lobes drawn out to a long, narrow point. 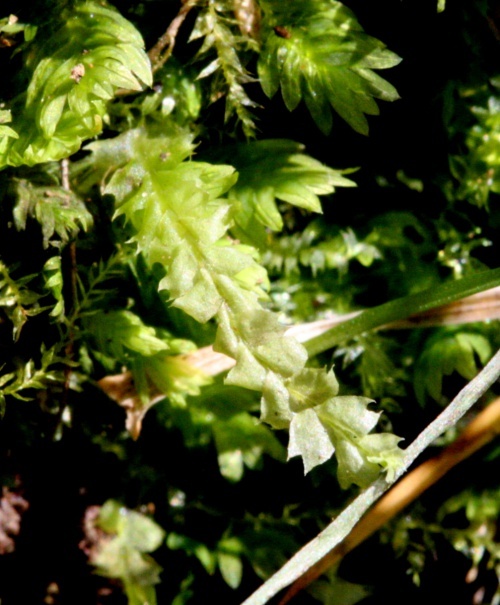 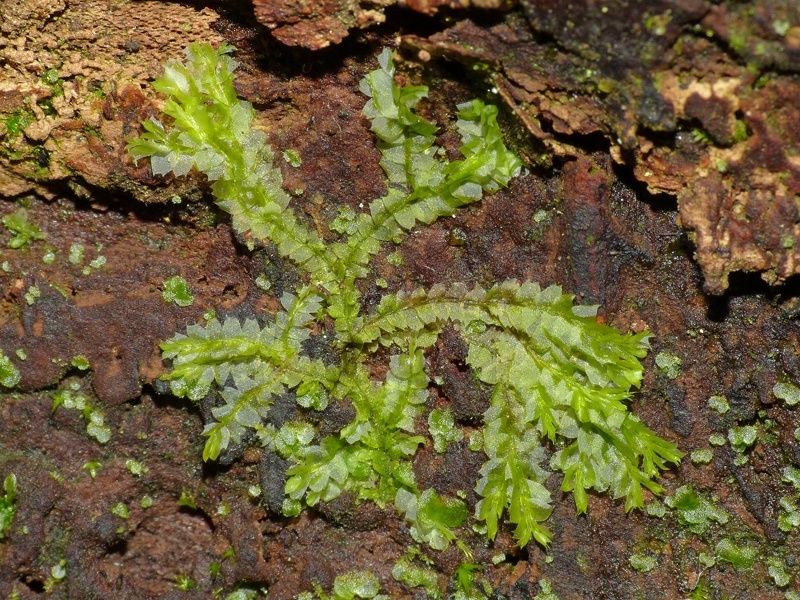 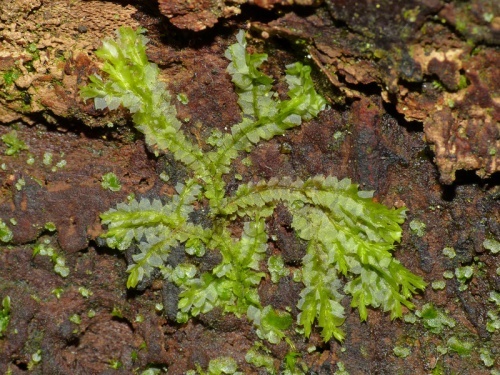 The underleaves are also bilobed, with an additional lateral tooth on each side. The plant is strongly aromatic, and often fertile, with toothed perianths. Found in a wide range of habitats, on the ground in woodland, grassland and heathland, as well as on other plants and rocks.